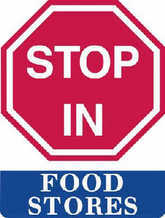 Stop In Food Stores Inc had been incorporated in the year 1979. It has operations as convenience stores industry primarily. It is a subsidiary of petroleum marketers, Inc. Mr. Ronald R. Hare and Mr. Roy Foutz are the current President and Vice-President of the company. According to 2011 data, Stop In Food Stores Inc had generated $350 million. Their mission is to demonstrate appreciation of customers while offering exclusive services and products via marketing and operational excellence. They ensure continued success via providing good service to all its clients equally. Even they make sure that customer details are kept intact. There are currently 1 consumer reviews about Stop in Food Stores available. Share your review. Please take a note that you are about to post a public review about Stop in Food Stores corporate office on CorporateOffice.com. This review will be public, so please do not post any of your personal information on this website. If you would like to contact the corporate offices of Stop in Food Stores, please use their contact information such as their phone number, website, and address listed above to contact them. However, sometimes staff from Stop in Food Stores headquarters do read the reviews on this website.